Life as we know it ...: Moving right along! . . .
Moving right along! . . . The gutter lady came by Friday and gave us a bid. Excellent! We're going to have the gutters installed on the barn in just two weeks. Great! But Mark has decided that he and Jerry are going to install the concrete outside Duke's stall themselves since the guy who gave us a bid said it would be $2000 for that small area! Gees! But with Mark and Jerry doing it, it will not only cost less than $500, it won't require a truck driving across the space between the house and the barn and thus cracking up the existing concrete sidewalk either! MUCH better. And those guys obviously know how to deal with concrete anyway since they were the ones who poured the foundation on the barn to begin with. It was still pouring down rain on Saturday so Jerry did stay home for that day, but the sun came out yesterday and it was a gorgeous day. Jerry came by and cleaned up all the stalls inside the barn -- floors AND walls -- and the horses were let back out of their paddocks and into the back pasture. So the barn is staying nice and clean again now since they're no longer hanging out inside their stalls all day every day as they did when it rained all week. But when they came in to eat last night, they all had dry mud all over themselves. They obviously must have been rolling around in the mud out there somewhere -- but why they think that's a fun thing I have no idea! I did brush off some of that mud and their winter fur, but they all actually need to be shampooed, that's for sure. And Arthur needs to have his whole mane completely cut off. He IS a mule and mule manes stand straight up looking pretty darn silly so I guess I'll just fasten him up while he eats sometime this week and give him a haircut. Oh - and Boo is shedding hair all over the place AGAIN so instead of getting him brushed out this time, we're going to have them shave him down! 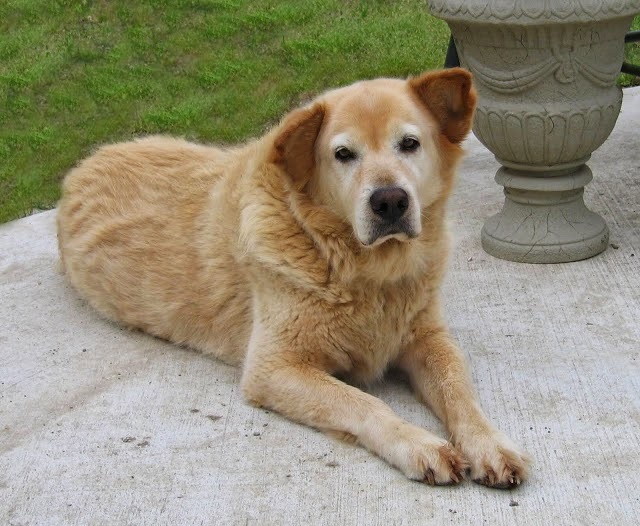 We used to have that done ALL the time for Ben - the Labrador/Chow mix we had who also had SOOO much hair. They didn't shave him all the way down to his skin -- his hair was just an inch or less, but he DID have hair, he just didn't make as much of a mess as Boo does! This was Ben just before time for HIM to go get shaved again. 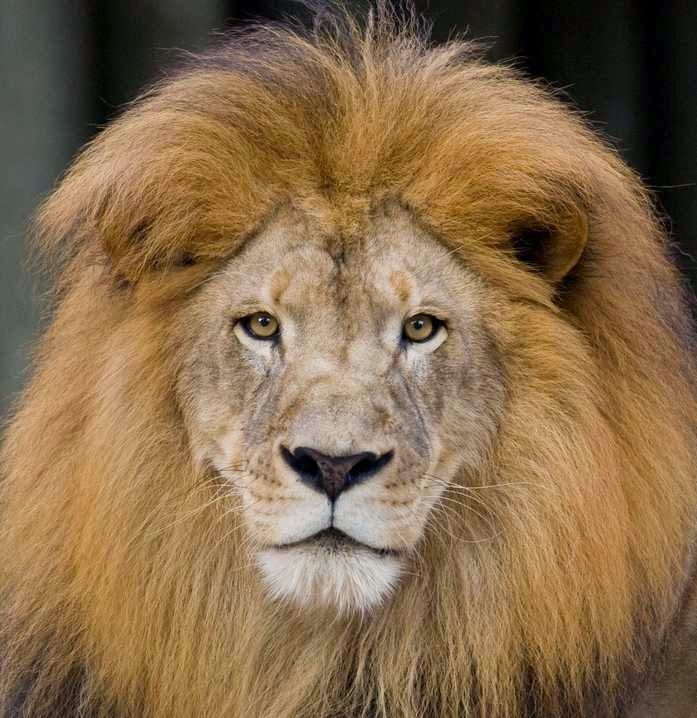 If he wasn't shaved regularly he would have had a huge mane himself! 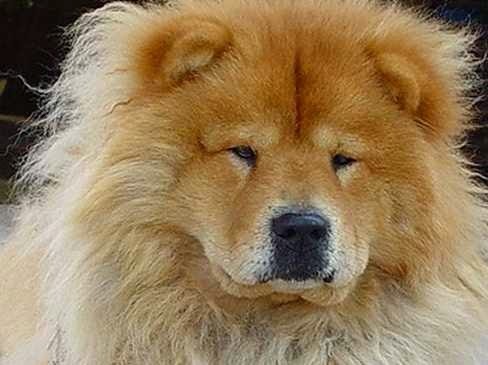 Chows are about as bad as lions if they aren't kept shaved down. See -- here's a Chow without a haircut! As for Blaze, he's planning to finish up the garage he's building for some guy this week and he said he expects to be finishing up and can probably come back by to get going on that front porch stuff for us this next weekend. I hope so! Once that's done, he wants to get started on extending our utility room. But I want to be sure I'm home while he does that, so he probably will need to wait until June to get going on that -- once I get back from Ohio. Although I haven't actually heard from Wendy yet as to when would be the best time to head up there. Hmmm. Hope everyone up there is okay. Well, time to get busy at work again -- it's definitely time for me to check in.